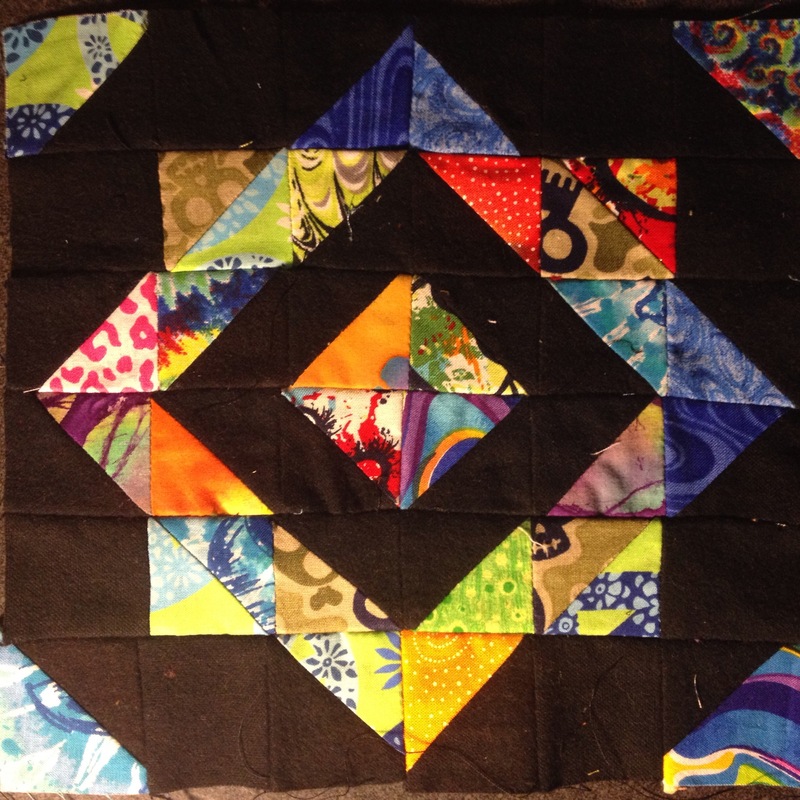 If you want your block to be 8″ like mine, your squares will be 1 7/8″ each. 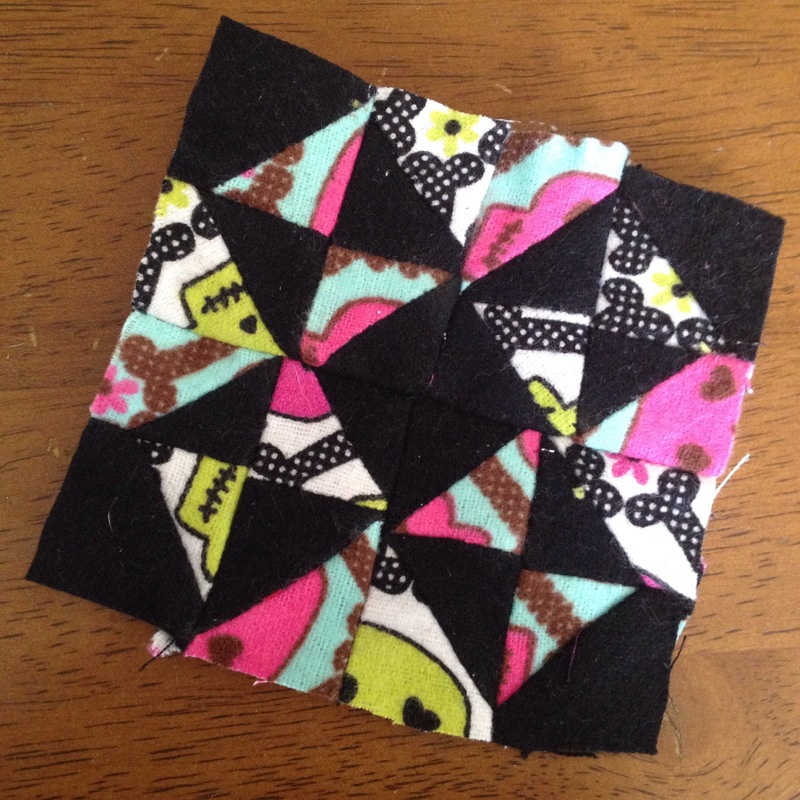 I also finally started using the leftovers from my HST squares. I got my inspiration from knit ‘n lit’s HST quilt-a-long. I think I may make this into a coaster for my cubicle. I think for now on I will cut off the excess from the HST squares with the help of a ruler so that my small blocks are a bit more even. 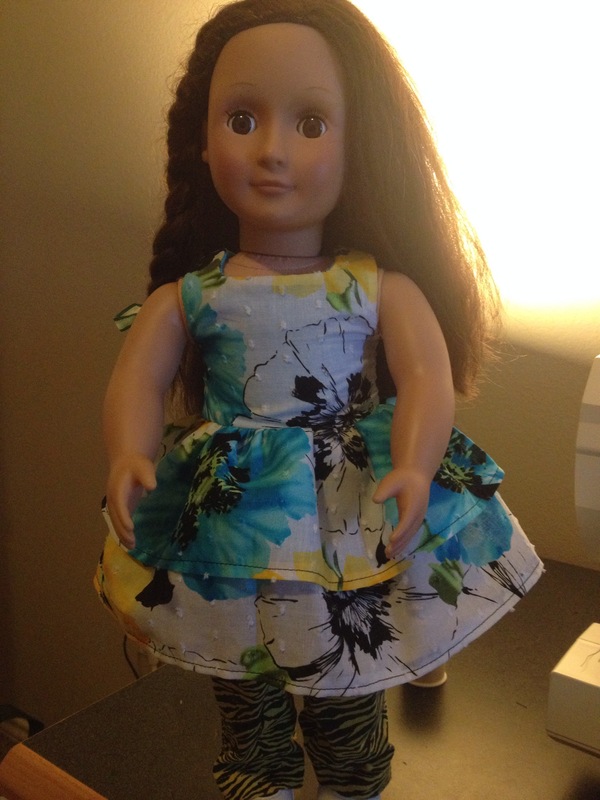 Since it was a three day weekend, my lil one and I had some mommy-daughter time and made some clothes for her American Girl Doll. 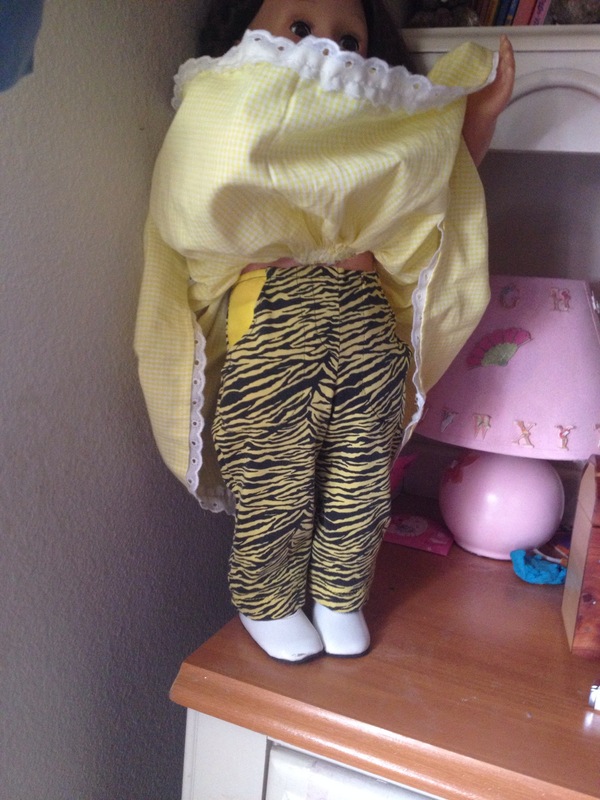 I loved that we reused one of her old shirts for the pants and some leftovers from a dress I made into a dress for the doll. Now on to week 9!